Let’s start by leaving the sugar-coating out of the recipe. Recent news has Alberta housing starts and investment at a four-year low. Single family home construction in the province has fallen to its lowest level since 2009. Office tower construction projects in Calgary have come to a halt. This has nothing to do with you and today’s discussion. You’re a commercial or industrial enterprise, and your considering building in Central Alberta, in spite of what’s trending in the news. You know something that the rest don’t, and we’re here to validate your inclinations. Economic law kicks in at the tail end (the bounce back is near) of a recession. Because the current demand for Alberta construction is lower, the supply is high, and thus the cost of construction for you is significantly lower. This is happening now. Waiting for the economic return will only equate a greater expense to complete your build in the future. 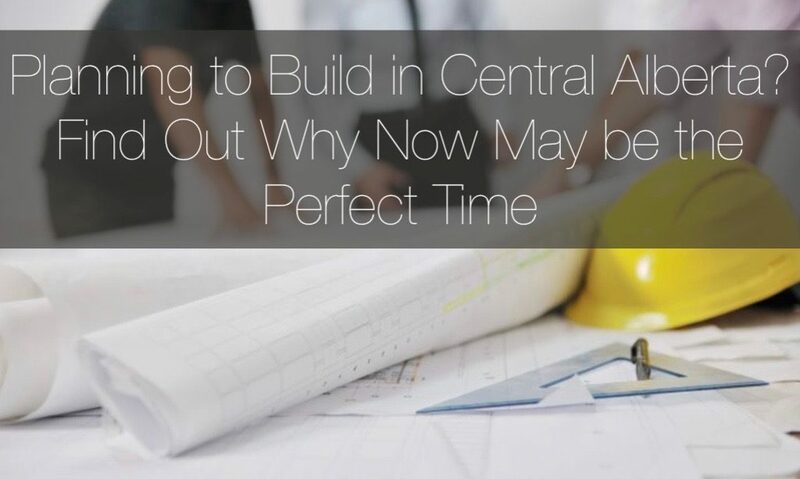 Capitalize on today’s opportunity to build with a reduction in required construction capital. Lower demand in construction also means that builders are not balancing numerous projects at the same time. You have their undivided attention. The turnaround time to completion will be far more likely to meet the estimate. Your commercial or industrial project will be ready for operation with revenues and profits falling in line with your own financial projections. Media has noted that the big cities of Alberta are feeling the brunt. The cities and towns of Central Alberta are proving to be more resilient. Businesses vacating Calgary or Edmonton may consider the midpoint of the province instead. Construction costs, leases, and all-around expenses are lower in the more rural districts. In addition, household incomes remain higher than average when compared not just to the bigger cities, but the country as a whole. Take Ponoka, for example. Average after-tax family income is over $92,000 and accompanied by the lowest provincial cost of living which provides a healthy level of disposable income. In Penhold, discretionary income (income spent on non-essential commercial goods and services) is well over $50,000 per year, which is due in part to the fact that 90% of residents own their home. You’ll find the same economic consistencies with Innisfail (view information here), Blackfalds (view here) and many other regions within Central Alberta. Central Alberta is not just resilient, it represents the future of the province, where your business will want to be. Some pretty exciting progression is taking place in construction, right here in Central Alberta. Advances in insulated concrete forms (ICF), pre-engineered steel buildings, and design-build are leading the way and capturing the attention of commercial and industrial businesses. Other new concepts and improvements are being reported, which includes heavy equipment sharing app technology that enables contractors the opportunity to increase revenue without having to raise costs of construction. Central Alberta may very well become the Silicon Valley of construction in Canada. Industry diversity is economic evolution at its best. And it’s happening right here in Central Alberta. If your business is in not in the traditional (to Alberta) oil and gas industry, you are joining the commercial (which includes IKEA and MEC), agricultural (especially strong), bio-industrial, environmental, and tech businesses taking advantage of this land of opportunity. Get in while the getting is unexpectedly good and strike before the iron gets hot (and becomes more costly). Contact Apple Building Systems Inc at 403.340.6777, anytime.